What is an orange passport? Orange passport refers to the newly announced passport by the government with an orange colour passport jacket. Is the government planning to scrap blue passports? No. 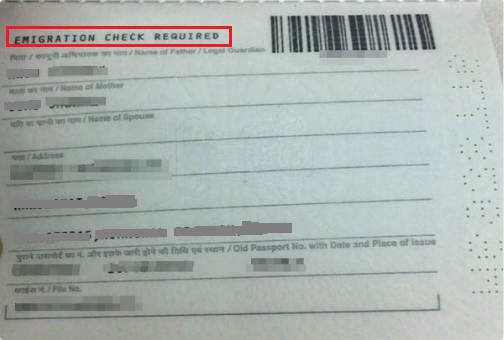 Only Indians with an ECR (Emigration Check Required) status shall be issued orange passports. What is an ECR status? ECR refers to Emigration Check Required. 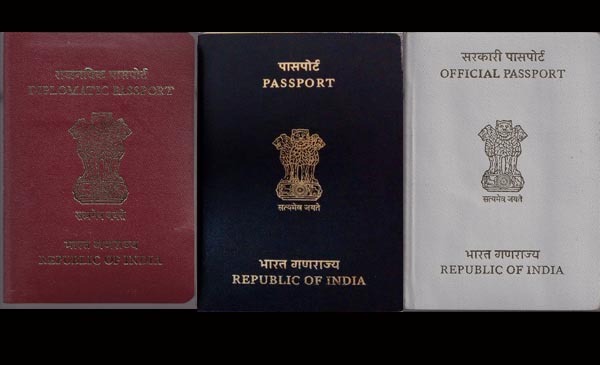 An Indian passport holder with an ECR stamp on his / her passport will have to obtain clearance from the office of Protector of Emigrants (POE), Ministry of Overseas Indian Affairs to travel to certain countries for the purpose of employment. The government insists on ECR when travelling to these countries as they do not have strict laws regulating the entry and employment of foreign nationals and also do not provide for proper grievance redressal to migrant workers. Who falls under the ECR category? ECR status is given to people who have not cleared Class X exams. Their passports are endorsed with an ECR stamp / seal / remark in the second or last page of the passport at the time of issue of passport. If there is no specific mention / endorsement of ECR on the passport, it means that the passport holders fall under the Emigration Check Not Required (ECNR) Category. What is the purpose of ECR? ECR status aims at protection and welfare of Indians, specifically unskilled and uneducated labourers, who are are vulnerable to exploitation while working in a foreign country. Emigration clearance (EC) is a safety measure which ensures that they will not be duped overseas and is granted after verifying offered salary, working terms and conditions of employment contract. According to the Emigration Act 1983, the Ministry of Overseas Indian Affairs is responsible for the emigration and return of the emigrants. Indian citizens who go to a foreign country with the purpose of employment are called emigrants. The Act mandates for emigrants under ECR category to get an emigration clearance and recruiters to register with the Protector of Emigrants. Since October 2007, ECR status passport holders do not require an emigration clearance to travel to these countries for purposes other than employment. Before that, they had to follow the ECR suspension (ECRS) system which involved getting an ECRS stamp for trips on tourist / visit visa. The abolition of ECRS put an end to the harassment and hassle ECR category passport holders had to go through while travelling abroad for purposes other than employment. How many people have been granted Emigration Clearance? Between 2012 -2015, around 7.5 – 8 lakh Indian citizens were given emigration clearance. This dipped to around 5 lakh passport holders in 2016. Why has the government proposed orange passports for ECR category? The official spokesperson of the Ministry of External affairs on January 12 informed that the government has decided to do away with the last page of the passport which contains ECR and other information such as name of the Father, Mother, Spouse, Address, and old passport number with date and place of issue of the passport holder. 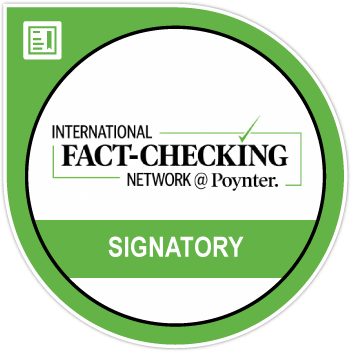 As shown below, ECR is endorsed in passports of persons who are under the ECR category on the last page of the passport. This decision to discard these details are based on the recommendations of a three member committee of the Ministry of External Affairs and Ministry of Women and Child Development. The recommendations to not include name of the father makes it easier to process those passport applications where the mother / child do not want the father’s name on the passport. It also makes it easy for adopted children and children with single parents. With the removal of the last page, passport holders under ECR category will be issued orange passports while ECNR category will be issued blue passports. Though the spokesperson during the media briefing did not elaborate on the reasons for introducing orange passports for ECR category, it is assumed that this is to ease the immigration process and also to maintain the ECR category that provides protection to unskilled labourers. Why is this move being criticized? There are several people who feel that the introduction of orange passports for ECR category could lead to discrimination and stigmatization of unskilled labourers. “The government could argue that these passports are for the workers’ protection, but to a worker it may not seem that way,” said Sehjo Singh, a director at advocacy group ActionAid India to Reuters. Singh wants the government to explain the rationale behind the move. “No way should this proposal go forward. 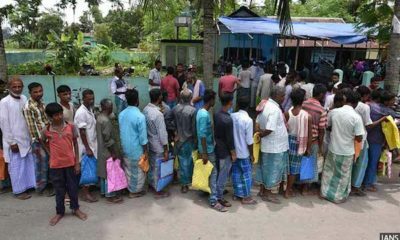 This is creating two different types of citizens, one with education and one without, discriminating Indians based on educational qualifications,” said Oomen Chandy, Congress leader and former Chief Minister of Kerala. 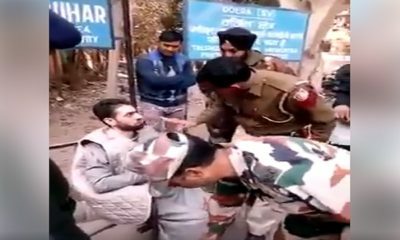 The Twitter handle of the Congress party was swift to put out a video, calling this a discriminatory move. Congress President Rahul Gandhi said that this will lead to unskilled workers being seen as second class citizens. Critics have also said that if the government’s only motive was to help those not desiring to use their father’s name, those details could have been omitted. Nothing stopped the govt from keeping the ECR details with the blue colour intact. With the introduction of orange cover passports for ECR category, they will be distinguished from ordinary citizens. And if you thought that the colour of the passport does not matter, do read this Economist article from 2012 that explains the many meanings of a passport’s colour and why countries have spent years debating which colour to adopt for their important travel document.